Home General Infused Herbal Oils & Essential Oils – What’s the Difference? Infused Herbal Oils & Essential Oils – What’s the Difference? Herbal remedies can be used to treat a variety of illnesses in a natural, safe way. Herbs have been used for centuries as healing agents and can be easily, but carefully, prepared and have no side effects. Herbs are grown naturally and wild but a person wishing to harvest herbs to make infusions or essential oils should gain knowledge in harvesting and properly preparing the oils. There is a difference between infused oils and essential oils. Both methods render the healing properties from herbs, but are used in different ways. 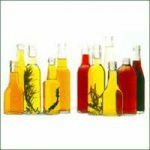 Infused Oils – oils that have been steeped in herbs are called infused oils. When making infused oils good quality dried herbs should be used; some fresh herbs are appropriate for making infused oils. Some of the most popular oils for infusion are organic extra virgin olive oil, jojoba oil or sunflower oil. The herbs are placed in a jar and covered with the oil. The oil should be at least three inches above the herbs. Covering the jar tightly, shake the jar and store in a cool, dark place. The herb mixture should be shaken daily. After about three weeks, strain the oil into a glass container, label and date. The healing oils are ready for use. Essential Oils – these herbal oils are often actually distilled. If a person does not have a still for distilling, they can make essential oils by infusing a batch of dried flowers or herbs in a jar similar to the method of infusing oils. Once the infused batch has set for a minimum of 48 hours, the oil is strained out and another batch of the herbs is added to the oil. This process is repeated at least four times to get the maximum strength of the herb or flowers. Because of this repeated process essential herbs are much stronger than infused oils. Infused oils can be used internally and externally. The oils can be used on foods such as salads and soups. They can also be rubbed directly on skin. Depending on the herb used to make the infused oil it can be used to soothe bumps and bruises, insect bites and stings and even on rashes and sunburns. A non-toxic insect repellent can be made with herbs infused in oils. Essential oils are most commonly used in aroma therapy. Essential oils are very strong distillations of herbs or flowers and should never be placed directly on the skin. A carrier oil, or another type of oil or medium, should always be used. A couple drops of the essential oil is placed in the carrier oil and then put on the body. For example, tea tree oil is very good for irritated skin, but should always be mixed with a carrier oil before putting on the skin. Mixing herbs requires skill, so a person considering making infusions for healing should know the properties of herbs. Essential oils that are used to fragrance a room or to burn in oil burners only require knowledge of herbal and flower aromas.